Midsomer Murders is a popular British detective show set in the fictional county of Midsomer. Do you watch it? If so, what do you like about it? "Midsomer murders logo" by Source. Licensed under Fair use via Wikipedia . Wow! Organisation to the nth degree! I've got ALL 'Midsomer Murders' on DVD, so they automatically in production order. Same for 'Inspector Morse', 'A Touch of Frost', 'Endeavour', 'Lewis', 'Inspector Lynley Mysteries'. Love my British 'crime dramas', even on repeated viewings', they're still THE best, IMO! Not regularly, but it's one of the few television series that I genuinely enjoy. Although I get a bit lost in some the plots, I love the setting (those English villages are SO beautiful!) and the quirky characters. I've watched one or two episodes and I thought it was pretty badly written. I agree with Carolyn that is pretty to look at though. I watch it sometimes, as I find it a bit long and convoluted. The plot is so "thick" that it is just sometimes too difficult to comprehend. I do enjoy it, but wish it were a bit simpler and not so complicated -I like all the characters in it, and like the acting. Yes from time to time. It may not have as much flash as CSI but I find it enjoyable and often it has good story lines.. Yes - I love the almost innocence of it and the ever sunny countryside views, not to mention the quirky characters. I also love the fact that no-one swears all the time! Pure escapism and thank heavens for it! Fabulous show! Have ALL on DVD! I find it both relaxing, & funny. Yes watching the original with Jon Nettles and the second with the new Barnaby. We (my wife and I) love the countryside small town scenario's with the wealthy and not so wealthy. The plots are quite intriguing and the scenery adds to the quality of the productions. Truly a great series even if we happen to get repeats now and again. Yes, MidSomer Murders fantastic series both BARNABY's play great parts as do their sidekicks. Better than a lot of other similar series. I actually prefer the new Barnaby over the old one. The scripts are a bit grittier too I think. I do have to suspend disbelief when watching it however. It is a wonder there is anyone still alive in Midsomer and it must have more villages than the rest of England put together. Yes, both my wife and I love the series, I did prefer John Nettles in the lead role although his replacement is doing a fine job. The story lines are varied and whether it is the wealthy vs the Poor, or acts of revenge, all the varied story lines are wonderful to watch. 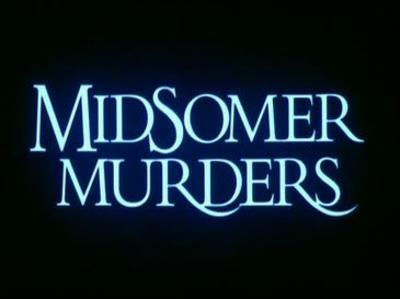 It does make you wonder at times just why anyone would live in and around MidSomer with so many murders. Never the less a really fantastic series to watch. Love it! Love it! Love it! Absolutely brilliant show. The English certainly have this genre sown up, with shows such as Miss Marple, Poirot, DCI Banks, George Gently, Judge John Deed, New Tricks, Silent Witness and Wire In The Blood. Midsomer Murders is the best of all. it has intrigue, twists and turns, surprises and humour. I will admit I'm taking awhile to get used to Neil Dudgeon after having the superb John Nettles for so many years. I'm also not to keen on his family story or the character of Charlie Nelson played by Gwilym Lee. Midsomer is still good but not as good as it used to be. I still have the reruns. PS: I've now seen 113 episodes. Every time I look on iview, I'm hoping to see an episode I haven't seen before. I'm surprised there's anyone left in the main village & it's surrounding villages! !